Direct sunlight coming through your home or office windows can create hot spots, U.V. damage, and glare, making it uncomfortable while driving up energy costs. Window film provides a shield- like performance that can block as much as 83% of the sun's heat, to improve the comfort level in a room and save on energy in the summer and winter. A variety of window tints available. Window film creates an invisible barrier between your home, business, or institutional interior, and the outside world. Glass shards are held together by the window film, providing a shatter- proof performance to enhance your home or business security system. It slows down an intruder, protects against natural or man-made disasters, and mitigates damage from vandals. Enhance your building's appearance with architectural window film. Decorative window film offers the look of frosted glass, gradients, or custom designed graphics for home, office or institutional spaces. Graphic window film is a cost-effective and non-permanent application that can be used for customized branding, interior design, privacy or safety. In the summer, glare and intense heat from the sun coming through windows can make working and living conditions unbearable, and expensive with air conditioning costs. Window Film offers uv protection, reduced glare, and heat rejection to improve comfort and save on energy needed to cool the room. In the winter, when days are shorter we appreciate even more the natural light that windows offer. Window film saves on energy & improved comfort by creating a thermal barrier between the indoors and outdoors. 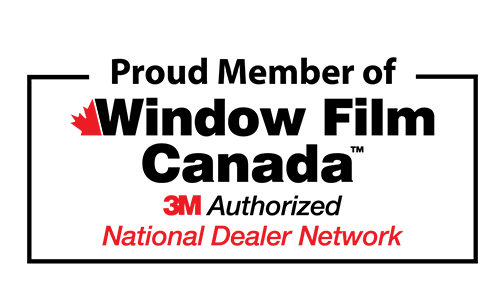 Window film helps retain up to 15% radiant heat and reduces solar hot spots. This improves internal temperature balance, reduces heating costs, and improves comfort. This company put the protective coatings on my new home and they did a fantastic job! Keeps the heat out of the house and UV rays, etc. I highly recommend this company and both Gary and Sam are wonderful, ethical and hard working guys.